Whether your application is government/military, retail, industrial or multi-family, there’s a W Series lock that fits perfectly. In two popular lever and two popular knob styles Falcon can match most commercial door trim. 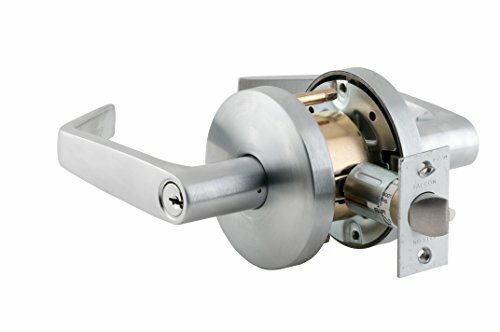 The Falcon W Series locks feature conventional cylinders and small format interchangeable cores that are compatible with SFIC products from other manufacturers. Our conventional cylinders are available in all Falcon conventional key sections as well as Schlage C Keyway, which we now masterkey across the complete Falcon product line. If quality product at a value price is what you are looking for, the Falcon W Series is the lock for you. And they’re backed by one of the best names in the business, Ingersoll Rand. Levers are solid pressure-cast zinc, finished to match mating parts. Roses are wrought brass or bronze installed over steel through-bolted rose inserts. A spring-loaded retainer secures levers. Secure side retainer cannot be depressed without a key that operates the lock. 10 years warranty.